At the Country House Restaurant, LLC, we offer your groups breakfast, lunch and dinner at the right price, in a clean and friendly environment. We understand our clientele and try to cater to their needs. Our flexible menu options allow you to create a hearty, home-cooked meal, a classic burger and fries, subs or sandwiches, pizza or a satisfying breakfast, with options for everyone. Add one of our made-from-scratch desserts and you’ll have raving guests. The Country House Restaurant is a rustic family owned restaurant located between Rutland and Middlebury where your group can enjoy breakfast, lunch and dinner. Our convenient Route 7 location just a short ride from Rutland, Middlebury and Killington – and on your way to and from many of Vermont’s most visited attractions – makes this a perfect stop for your group meals. Open 7 days a week. Breakfast weekdays – reservation required; Lunch and dinner reservation suggested to accommodate group pricing and menus. Plenty of Motorcoach parking. 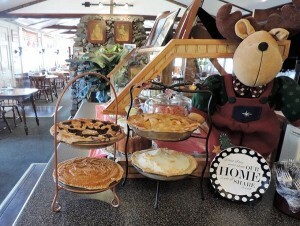 Group menus available online www.thecountryhouserestaurantllc.com and custom meals can be created for your needs.